When it comes to selecting the right financial professional for your specific needs, it might not take long before you scratch your head wondering where to start or what qualities and credentials are non-negotiable for you and your family. Simply log onto the internet and you’ll find that there is no shortage of financial education, but sifting through all the information can leave anyone feeling uncertain about how best to proceed. Having the right information to launch from will help you approach the financial industry with eyes wide open with both a healthy skepticism that can protect you, as well as the confidence to make the best choice for you. Your financial success is a result of your choices. Here’s a list of qualities, questions, and truths every person should know about the financial industry. Not all financial professionals are financial planners. The little letters that follow a financial professional’s name are there to tell you more about their credentials and specializations. If you want comprehensive financial planning, be sure to keep your eyes peeled for the “CFP®” designation (CERTIFIED FINANCIAL PLANNERTM) as a starting point. Have an idea of what your financial goals and needs are before interviewing potential advisors. Knowing what you want and need will help you narrow the pool of professionals you seek out and minimize your chances of working with someone who is not the best fit for you and your circumstances. No financial professional can promise returns or guarantee they can beat the market. If someone says they can beat the market, run. Run so fast in the other direction. The way a financial professional is compensated reveals conflicts of interest. Ask a potential financial professional how they are paid. They are obligated to disclose this information to you honestly. If they earn a commission, you know they are compensated by the products they sell, not by the advice they provide. A fee-only fiduciary advisor is paid only by providing you a service that puts your best interests first. Insurance is an important tool for your financial life, but proceed with extreme caution. Shouldn’t live without it, but most don’t look forward to shopping around for it either. Insurance is a product that financial professionals are very happy to sell. Know what you need before you buy so that you don’t purchase a policy that doesn’t suit your requirements. You won’t know how good your financial advisor is until the markets take a tumble. It’s true. When the markets are doing well, everyone looks good. It’s when the markets aren’t doing as well when you find out how effective your financial advisor’s strategy performs against an economic downturn. And we mean no one, except God. So be wary of a financial professional who claims to know what the financial landscape will look like tomorrow or ten years from now. Paying attention to financial media is a waste of your time. Long-term investing for your financial future does not need to focus on daily market fluctuations, and it shouldn’t. With a properly diversified portfolio, you should be able to ride out the bumpy market cycles without concern for any given day’s performance. The most powerful indicator of financial success is creating a plan. If you don’t plan for where you’re headed, you can never be sure of where you’ll wind up. Time is both your biggest ally and enemy to obtaining financial independence. Start saving early and reap the benefits of compounding interest. Wait too long and there may not be enough time for your money to grow to what you need in retirement. Even the smallest amount saved can get to work for you, but no savings guarantees nothing in return. A financial professional who is not a fiduciary is in product sales. A fiduciary must represent your best interests. A financial professional who sells financial products is compensated through commissions and therefore has clear conflicts of interest that aren’t guaranteed to favor the client. Find out if the financial professional you are considering practices what he or she preaches. If a financial professional doesn’t have himself or his family invested in what he’s recommending for you, this is a red flag. Ask how much of his own money is invested the way he’s advising. A financial professional who educates is one who empowers his and her clients to succeed. The more informed you are about your finances, the better you’ll be able to make smart money decisions. Simplified finances are often more effective than complex finances. Complicated financial solutions are not necessarily better. There is no such thing as zero risk. There is always some measure of risk involved in investing. Understand how much risk you can withstand and how much risk is involved in a strategy before saying yes. 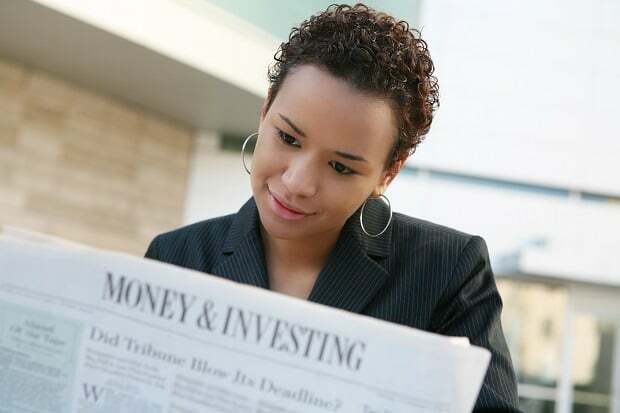 The everyday investor can DIY his or her finances successfully (up to a certain point). Robo-advisors provide an easy and lower-cost way to start a diversified portfolio when you are accumulating assets and haven’t built up a huge amount yet. When you start feeling like your finances have grown to a point that you no longer feel comfortable managing them on your own or are worried you’re not doing everything you can to maximize your finances, that’s a sign you should seek a financial professional. Index funds are your friend. They are awesome at lowering your portfolio costs and capturing return in efficient asset classes. Tax planning goes hand-in-hand with your long-term financial plan. Legally sheltering as much money as you can from paying taxes is an important way to maximize your wealth and put it towards what matters to you most. It’s not a questions of “if,” but a question of “when” something bad or unexpected will happen that can disrupt your life and finances. Be prepared for the unexpected. Having an emergency fund is one such way you can keep your finances on track in the face of unforeseen events. Similarly, something good will happen as well that can impact your life and finances. Be prepared for the good times as well and anticipate your future needs so that you can enjoy life’s precious milestones and special moments. When it comes to the financial industry, there is a lot of minutia to consider and make decisions about. Arm yourself with enough knowledge so that you know enough to recognize when something is the right fit and detect when something feels off. The decisions you make and the actions you take (or don’t take), will lead you to your financial destination. Interested in more financial resources? Subscribe to The Money Guy Podcast here!